My church does not have a parking lot because we’re in New York City and almost no one here drives to church. 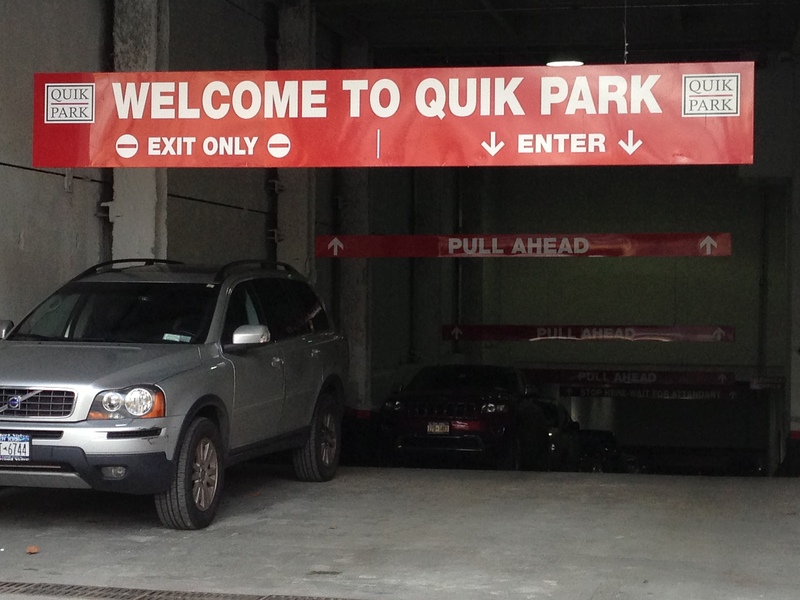 On the other hand, the parsonage is next door to a parking garage run by a company called Quik Park. We’re also across the street from a playground bordered with four-story oak trees that can accommodate multitudes of rent-free birds. I wake up and hear the birds singing. Sometimes there are sirens because the park is next to a police precinct and a fire station, but the birds get far more airtime and I love it. Or I did love it, but something really weird and disturbing has replaced the birdsong. It began with the parrots. Despite the rapid progression of global warming, the Upper West Side of Manhattan has not become a tropical parrot habitat. Some years back, I read that there were escapees among the thousands of parrots from South America smuggled through Kennedy airport. These feathered immigrants settled in Queens and a few went as far as Brooklyn, but none of them reached my neighborhood. Or did they? Why was I hearing the chatter of parrots outside my window? I looked to the trees across the street but there were no parrots. In any case, now the birdsong seemed to be coming from the Quik Park garage. I stood on the sidewalk and listened to the trilling of birds interrupted by a chattering parrot. The sound was definitely coming from the depths of the garage, but that made no sense. One of the parking attendants emerged from the shadows and I asked him about the strange flock of birds inside. “It’s our new alarm,” he said. Huh? Sadly, yes. It turns out that if you play a loud, mixed tape of recorded birdsong, it will keep the real birds away from your garage and off your cars. Presumably this was to fend off obstreperous neighborhood pigeons but now we cannot hear any real birds in the vicinity. Actual birdsong is prevented by an endless replay of birds that are not here, birds that may now be dead for all I know. I hear them now through the drafty, century-old windows of my office as I write during our polar vortex. It’s nine degrees outside and snowing, but the parrots chatter on. This whole thing struck me as bizarre until I realized it was all too familiar. It’s what happens when we try to take the wild, holy spirit and fix it in time, recorded to play back, the same patterns, the same order, the same voices, year after year, over and over again. And one day, all authenticity takes flight. Of course, some words and patterns remain essential for the church, but some, perhaps many, are not. I hate the parking lot alarm but it’s a helpful warning too. It begs me to consider my own personal and pastoral complicity in this sham.